Building codes are not the most exciting read, but codes and mandates are important for building owners to know. Understanding mandates make it easier for you to protect your buildings and protect your investment. The 2019 Building Energy Efficiency Standards are designed to move California towards solar power without inconveniencing too many people. The main points you need to know about the new solar mandate are discussed below. Recouping money spent on solar installation has been time-consuming for building owners. While the process is not cheaper, it is less challenging. The CEC (California Energy Commission) estimates that the new construction of an up-to-code building will increase by $9,500. However, you will save $19,000 on energy and maintenance costs. In addition, if multiple buildings are constructed within the same neighborhood, the labor and transportation costs can be combined which will lower the per-unit installation cost for builders. Not all buildings are covered by the new solar mandate. Only multi-family homes fewer than three stories in height are included and industrial, commercial and high-rise residential buildings are not. 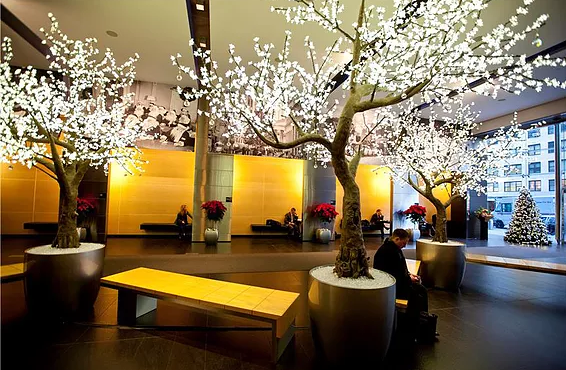 New climate-zone specifics are being enforced which state that all common areas in multi-family buildings are not included in the sizing calculations. This will influence the energy usage that gets compensated. Multi-family developments and builders now need to consider solar installation on any new projects. There was never much incentive to do this before, but now owners can include solar power. This means installation and maintenance will need to be factored into rental prices and planning costs where they weren’t before. Owners should expect some resistance when it comes to renters not wanting to cover the increased costs with solar power, so they need to be creative when accounting for the costs to keep everyone happy. The ‘duck curve’ is a technique that charts energy usage throughout the day compared to energy generation. The potential for generation during the day always exceeds the demand and in the evening more energy is needed but not as much is produced. The new mandate includes compliance credit that will hopefully reduce the impact of this curve. Installing batteries during the day allows power to be stored during times of high generation, and this can be used later in the day when demand is higher than supply. Without regular maintenance, solar systems will lose functionality. This makes customer education important and the new code includes that it is now mandatory. An update to the building owner must now be provided as to how the system is operating. Additionally, the builders of these new solar-powered buildings must include warranty and maintenance costs in their plans. Flexibility regarding solar power is important because not all buildings are the same. Using community solar and not individual rooftop units or by having a single solar garden can reduce labor costs. Sadly, the tenants do not benefit from the net metering of this solar arrangement. 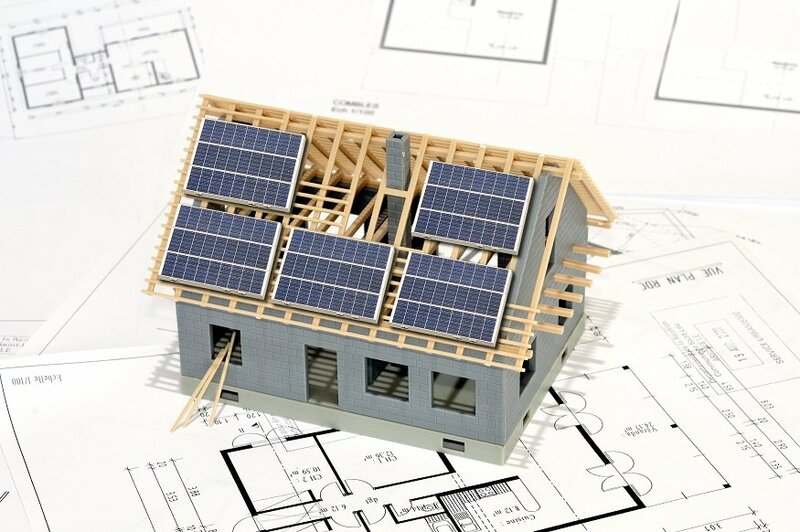 Currently, there are also rules in place stating that if a roof cannot sustain solar panels for any reason, builders will have the option of tradeoffs and storage credit in place of installation. 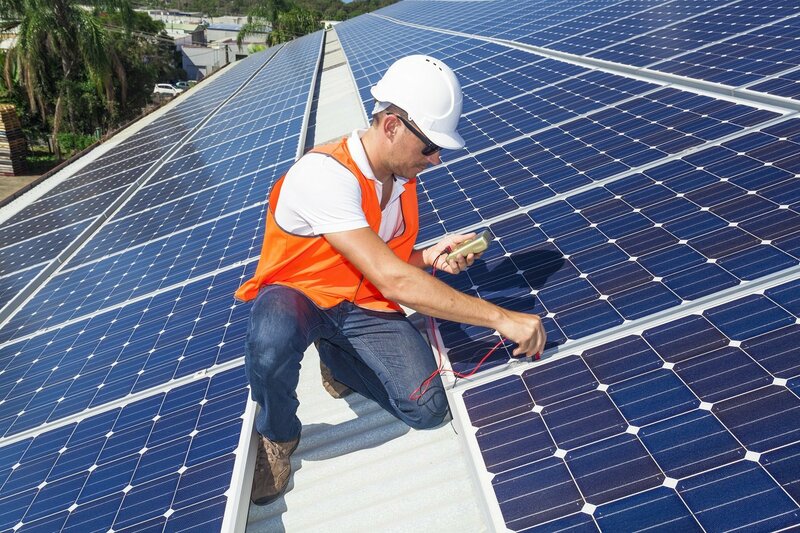 Local authorities have the ability to make codes more stringent, so when it comes to solar power installation, you need to check with local groups first. If they are able to demonstrate that their proposed changes to the code will reduce energy consumption, the CEC will allow their changes to go into effect. This may be very flexible, but it means that you need to verify all designs with local authorities to ensure your plan and designs are up to code. The new mandate is important to be familiar with. There are more details available in the full 2018 California Solar Mandate code ad a full understanding of the new solar changes coming into place will be essential for your success. Global warming and excess waste are real threats to the environment along with the daily pile up of waste in our landfills. Recycling, conservation, and environmental protection are more popular than ever, and the roofing industry is on board with this. With over 3,000 landfills, there is already too much waste in this country, and with households dumping enough trash to fill 63,000 garbage trucks, things need to change. Most people do not think of roofing materials when it comes to trash, but roofing materials end up in the landfills too. New housing and developments projects begin every day, meaning that more waste is created, and more roofing materials end up in the landfills. Repairing your roof rather than building a new one saves on the amount of waste created. You can work with roofing contractors that choose to work with recycled materials and green options. Working with a roofer that can effectively dispose of roof waste can help you do your part in protecting the environment. You can also do your part by taking good care of your roof so that it lasts longer. The less replacement that is needed, the less waste will be created. The roofing industry takes recycling and the environment seriously, and you will find that many contractors will offer recycled materials for your projects. TPO roofing is 100% recyclable and the membrane can be reused in the manufacturing process, so it ends up in a new roofing membrane and not a landfill. Metal roofing can be made from all types of recycled metals including soda cans. Shingles are now reused which helps to reduce the millions of tons that are thrown out each year. Rubber roofing systems are recyclable and you use them again for new roofing projects as well as for other projects such as garage flooring. Solar panels are popular now because they save energy and save you money. They also help to reduce the carbon footprint left in the environment. Green roofing with live vegetation is growing in popularity because it protects the environment and adds to the aesthetic appeal of a building. We understand the importance of recycling and saving the environment and we do our part as well as help you do your part too. With so much waste in the world, we work to reduce what ends up in the landfills and make sure your building looks its best. Reach out to us today to discover what recycling or green options you have and together we will take better care of the environment. With everybody going ‘green’ these days, the roofing industry has been making great efforts to keep up with these trends. You can now choose from several different eco-friendly options when it comes to your roof. We offer many styles that are energy-efficient, long-lasting, affordable and good for the environment. Some of the top products you can choose from are discussed below. Cool Roofing: These roofing systems are made from white or light-color materials to help reflect the sun’s rays away from your building. With less heat being transferred inside, your air conditioning costs will be lower. This is especially useful when you live in warmer climates because you can get a more comfortable indoor space. The less air conditioning you need, the less pollution you cause making this roofing system ideal for those looking to protect the ozone. You can achieve 75% cooler inside temperatures by combining a reflective roof with special coated granules in the roof tiles. Metal Roofing: Typically these are made from recycled metals like steel, aluminum, copper and zinc, all of which are durable and recyclable. Compared to conventional shingles, metal roofing lasts almost 30 years longer which means it is unlikely that you will ever have to replace your roof. 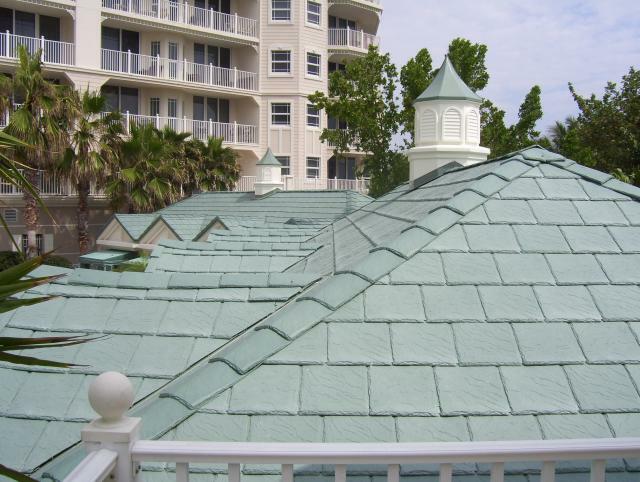 Metal roofing systems come in different colors, so you can choose lighter colors to get additional reflective benefits. Wood Shake and Shingles: Natural wood materials are biodegradable and offer a classic look to buildings. Traditional versions are made from old-growth cedar which is becoming scarce, so newer shakes are made from sustainable forests. Often you can get shakes and shingles made from reclaimed wood that was once a bridge, water tank, or mill. The one downside to wood roofing is that they are a fire hazard so you need to treat with a fire-resistant coating. Some areas prohibit the use of wood shingles, but if you really want that natural look, you can get shake-like materials made from 80% post-industrial recycled rubber. Clay and Slate Tiles: Natural clay and slate have been used in the roofing industry for centuries, mainly because of their durability and long life. Tiles are eco-friendly in that they are fire-resistant, rot-resistant, insect-resistant and maintenance-free. The biggest drawback is that they are heavy and they can break easily under force. You may require additional support for your roof if you go with tiles. They do come in an assortment of colors and styles to match whatever building style you want to achieve. They may be more expensive than other materials, but their longevity more than makes up for the initial first costs. Installing green roofs has numerous benefits to private, public, social, and economic sectors, as well as to both local and international environments. Green roofs provide similar functions, but every installation is unique. As such, technical performance depends on the building, climate, region, and type of green roof. Here are some of the general benefits of green roofs. During heavy rains, runoff may overwhelm stormwater infrastructure, leading to considerable damage to fish habitats and waterways. Green roof systems retain rainwater and, with the help of plants, return some of this moisture to the atmosphere via transpiration and evaporation. Any stormwater that manages to leave the roof is slowed and decreased in volume. The retention of runoff relieves the stress on sewers and stormwater infrastructure. Decentralized stormwater mitigation enables cost savings that reduce the need to renovate or expand related infrastructure. Green roofs cut back heat flux through the roof, providing significant cost savings as less energy is used for heating or cooling. Trimming the exterior surface of the building envelope is more productive than internal insulation. During summer, the building is protected from direct solar heat by the green roof. Rooftops are regarded as undisturbed areas can provide refuge for animals that are struggling to survive. These include ground-nesting birds like Killdeer, which use green roofs to nest and raise their young. Green roofs protect the waterproofing membrane from UV rays and intense temperature fluctuations. As a result, the waterproofing lasts twice as long as with traditional roofing. This means that the lifespan of the membranes below green roofs is twice as long as that of traditional membranes. A green roof costs more to install than a conventional roof, but it has a competitive life cycle cost. 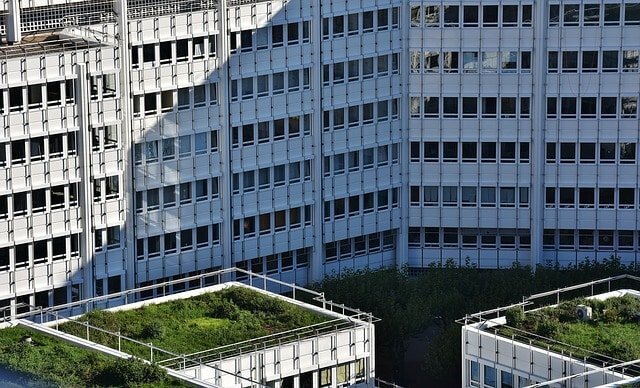 Green roofs utilize unused space within our cities. The rooftops can be used for urban agriculture or serve as social/recreational spaces. Manufacture and supply of roofing membranes and drainage layers, root repellent layers, irrigation systems, curbs, landscaping cloth, and other specialty items. 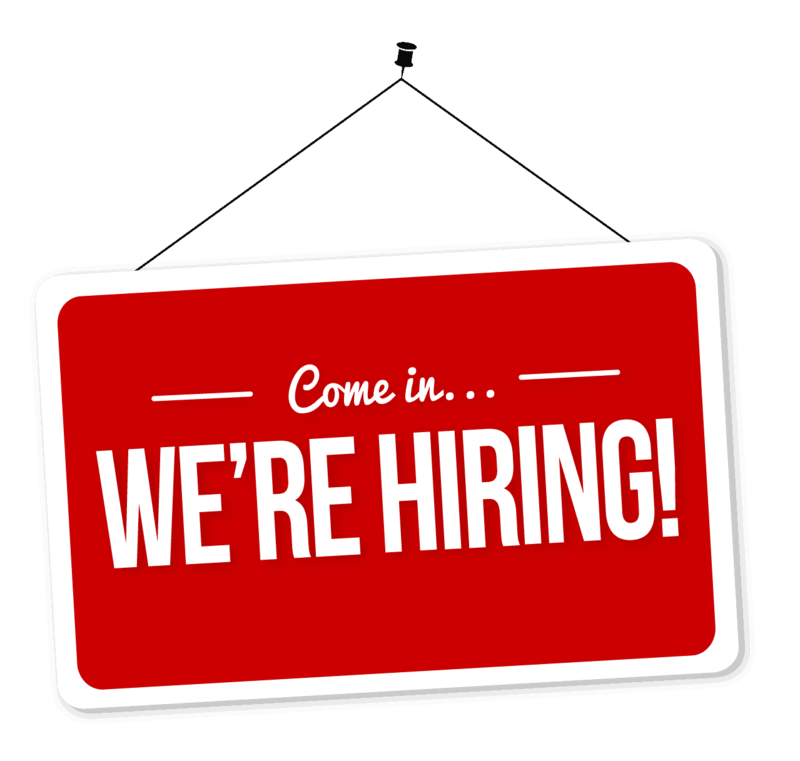 Design and engineering contractors, professionals, and landscapers, as well as companies that supply maintenance contracts.